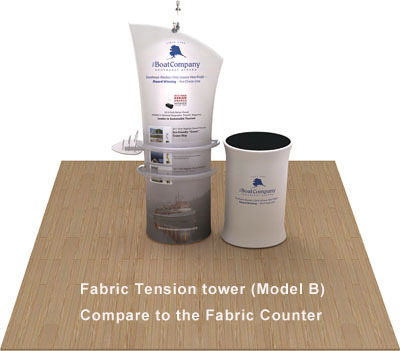 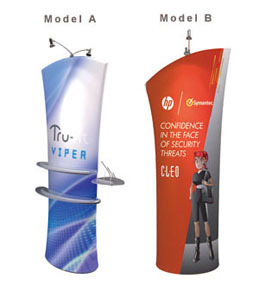 Fabric Tension Tower is a great portable product display that can be set up almost anywhere and looks great with most other displays. 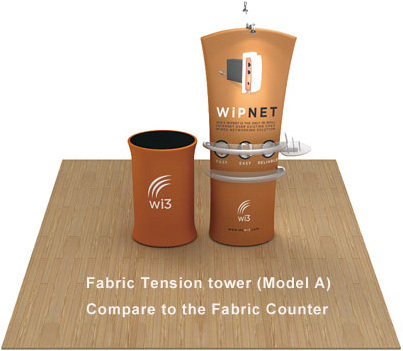 The graphic covered base has storage can take brochures. 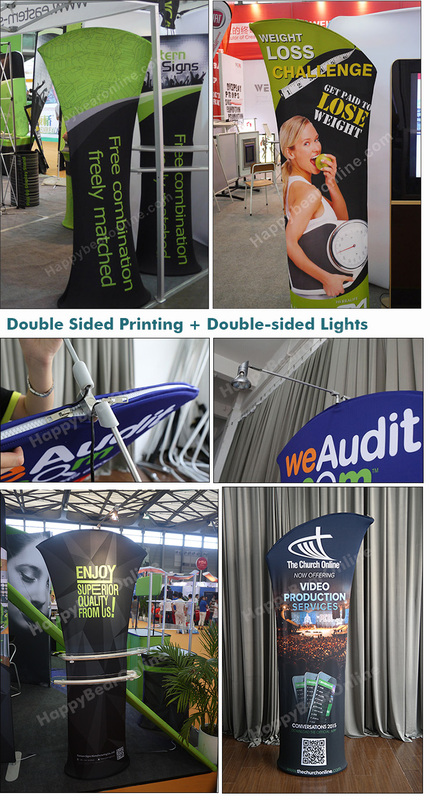 The optional acrylic shelves can support light weighed products.